Filmmakers World Festival announces the winner of this year competition. From almost 100 countries participating, 20 countries were selected among the winners. The film festival chooses Dreams of the Last Butterflies directed by Zina Brown from USA as the best film of the festival. Dreams of the Last Butterflies is a live-action 'dark faerie tale' short film with an urgent environmental message. A tale about the loss of butterflies in our world, and why they are disappearing, as told by the last Butterfly Queens themselves. Combining otherworldly costumes, epic faerie-tale poetry, cutting-edge cinematography, and a new song by electronic artist Kai Altair, it features stunning performances by tribal belly dancers, ballerinas, fire masters, contortionists, and a cast of New York City's underground stars. Each Butterfly Queen represents an endangered butterfly from around the world, and together they enter human dreams hoping to save the last of their kind. 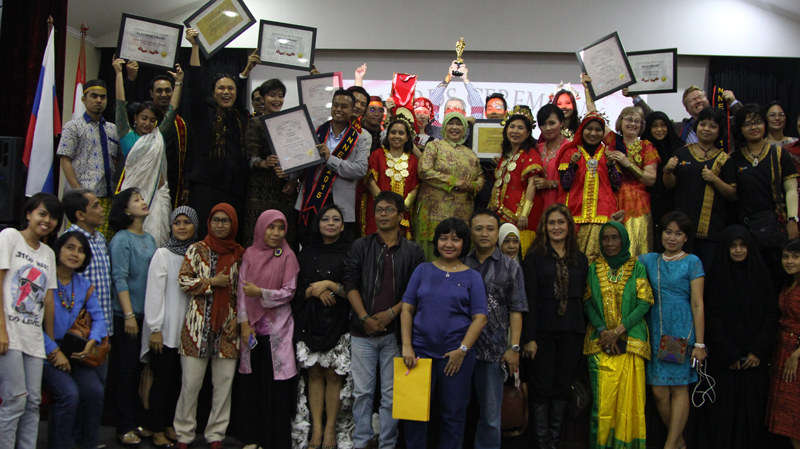 Dedeh Kurniasih from Dewan Kreatif Rakyat (DKR), committee for the event, said Spain, France, USA, Kosovo, Russia, Turkey, Cambodia, India, Canada, Australia, Kenya, China, Finland, Germany, Nepal, Switzerland, Italy, Vietnam, Belgium, Rwanda were among the countries of winners. Zina Brown "The Butterflies Director"